The intersection of N. 40th and Hamilton included a gas station, Martin’s Donuts, a grocery, and the Walnut Hill Reservoir. Built in west Omaha and slowly absorbed into North O, the intersection at North 40th and Hamilton Streets has an important legacy for the city. Early on, it was the site of the Military Road as it shot west along present-day Hamilton Street. This intersection became the nexus between several neighborhoods. The Orchard Hill, Walnut Hill, Bemis Park and Clifton Hill neighborhoods all converge here, and throughout history neighbors got donuts, bought gas, went to see movies, and more. This is a history of the intersection at North 40th and Hamilton Streets. The northwest corner of N. 40th and Hamilton in an aerial photo from 1947. Visible are Bob’s Mobil gas station, Martin’s Bakery, 40th Street Theater, and several other businesses. The businesses in the neighborhood are located at the intersection of North 40th and Hamilton Streets, and extend westward along Hamilton. There have been businesses and services on this intersection since the 1880s, and even earlier. There are a variety of other storefronts along Hamilton within the Orchard Hill neighborhood. Several are boarded up and presumably being used for storage, while others are filled with churches, a City of Omaha shop, an car repair shop and a tire store. Interestingly enough, there are also several historic homes mixed among the buildings between North 40th and North 41st Street, including a pair of houses built in 1895. This is the Omaha Fire Department station #8 at 4024 Hamilton Street in 1917. The Olympia Cycles building at North 40th and Hamilton was originally called the Knight Hall (not Catholic). The Omaha Fire Department built a station at 4024 Hamilton Street in the 1890s. At some point it was demolished and replaced with another station elsewhere, and today there’s an ugly 1950s building in its place. This is the former Walnut Hill Methodist Episcopal Church at N. 41st and Charles Street in the Orchard Hill neighborhood. It is now the Kingdom Builders Christian Center. Starting in the 1880s, the Knight Hall hosted the Walnut Hill Methodist Episcopal Church for several years before they moved. By 1917, the church moved to the southeast corner of North 41st and Hamilton. Later, church moved into North 41st Avenue and Charles Street. In 1930, the congregation merged with several other congregations to form a new church which continues operating currently as the Saint Paul United Methodist Church in the Benson neighborhood. Maybe the saddest scar in the whole neighborhood is the former Belt Line Railway. Built in the 1880s as a commuter railroad around North Omaha, the Walnut Hill depot was once located on the north side of Hamilton. 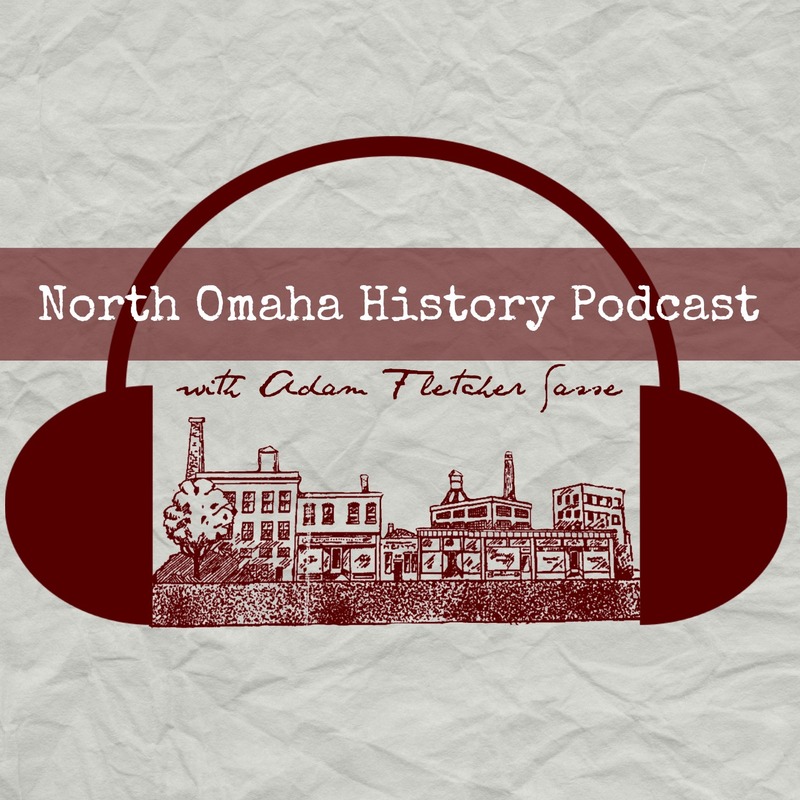 After serving as a light industrial track from the 1890s to the 1980s, the Missouri Pacific Railroad, which owned the Belt Line, removed the tracks entirely throughout all of North Omaha. All that’s left in the neighborhood as proof of this once-necessary catalyst for suburban growth is a large field at the corner of Hamilton and Military Avenue. Otherwise, there are no signs. This is a 1937 atlas map of the area surrounding the intersection of North 40th and Hamilton Streets. Over the last decade, a local businessman named John Hargiss has been renovating several buildings on the northwest corner of 40th and Hamilton. His work has brought his string shop, Hargiss Instruments, to life in the former donut shop. He’s also renovated the 40th Street Theater and hosts events there. The City of Omaha has marked Hamilton Street with special signs identifying it’s historical name as Hamilton. However, since you’ve read this whole article we now know this isn’t the original name; that honor belongs to Military Road. Nice try, City of Omaha! During the same era Hamilton was called Military, North 40th was known as Lowe Avenue, named after the founding father Jesse Lowe, whose family owned a large farm at North 40th and Cuming Street. This is a May 13, 1900 ad for Walnut Hill, including a grocery store, meat and provisions, and feed, hay and grain, all owned by Rudolph Beal, and A. Clark. The name on the front of the Hargiss Stringed Instruments store reads W. Stein. Any history on who that person was?